After hours of viewing many trash the dress sessions I decided that I wanted to give it a try….realizing people would not really get it since it’s fairly a new idea…I thought that water would be the safest and purest way to do the shoot. The wedding dress represents pureness of the bride and I would never want to offend that tradition. While doing the shoot I had my wonderful friend AlisonBeavers assist me and Meaghan with the dress…making sure we handled it with care!! 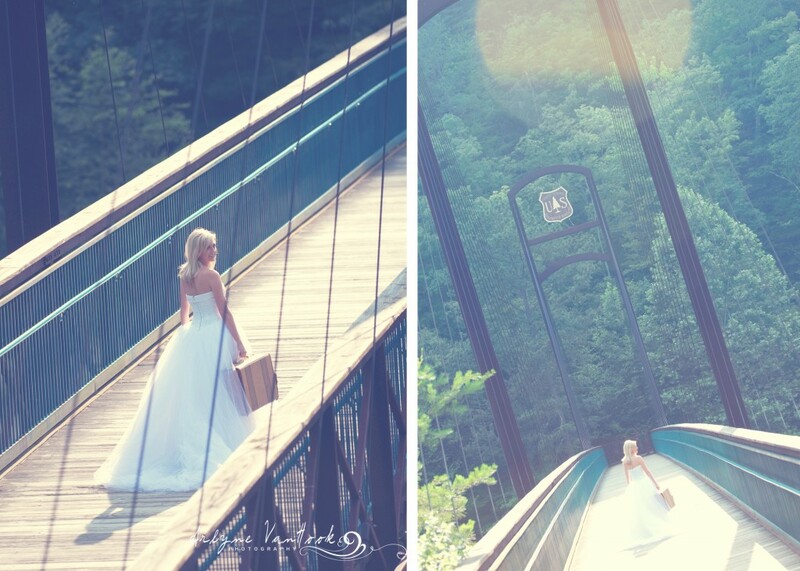 It was a challenging shoot keeping the dress and the bride from floating down stream…no just kidding…! It was so much fun!!!!!! We all had a blast and made some wonderful memories in the beautiful TN Mountains!!! Dress is dry cleaned and beautiful!!! !